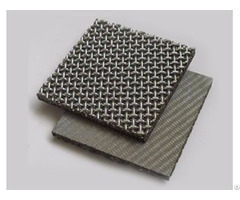 Sintered mesh with perforated metal, also named perforated metal sintered wire mesh, is a kind of compound sintered mesh which fits precise filtration and the need to protect the filtration layer. 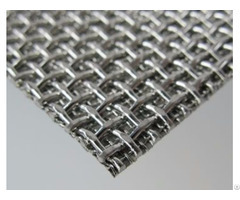 It is produced by combing several layers of stainless steel woven wire meshes and then sintering them to one piece of perforated metal. 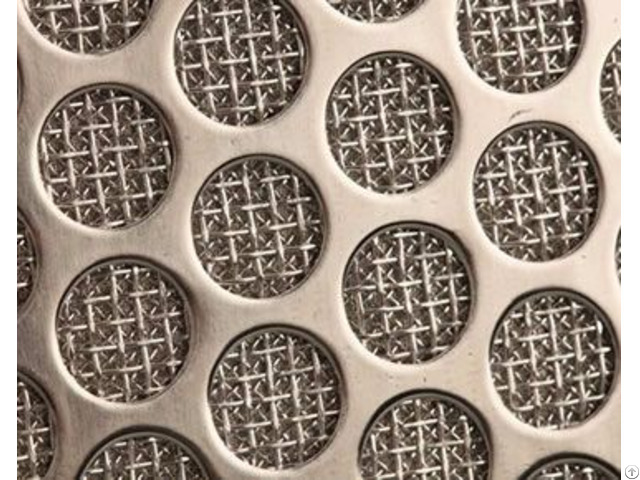 The support of a perforated metal sheet makes the sintered mesh extremely resistant to pressure and offers high compressive and mechanical strength. 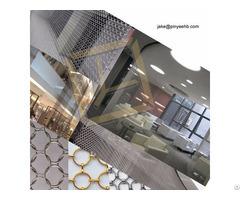 The perforated metal laminate varies in thickness and the opening of the hole size, the woven wire mesh can be one or more layers, which all fit the need of real application. Perforated metal sintered wire mesh can also be processed into different shapes, like chip, conical, cylinders, disc and tube. Owing to its outstanding permeability and great strength, it plays an important role in diverse filtration applications such as gas and liquid separation, recycle of solid particles, etc.